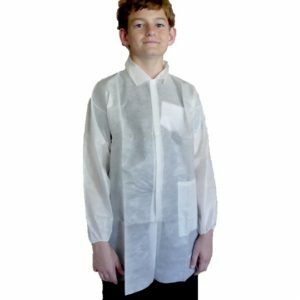 Makerspace Lab disposable lab coats are available in packs of 10 or 50, for the classroom, doctor costumes science parties or science marches. Makerspace Lab is your go-to source for all your Science, Math, Engineering and Technology (STEM or STEAM) protection needs. You can feel good about how you protect your children. Order your lab jacket now! By giving your child their own child-sized disposable lab coat, you can rest easy knowing your child is safe while having fun. Whether you are looking for your class or for your own use at home, we offer disposable lab coats to protect against common materials such as paint, water, and glue – everything your budding scientist is going to use. Created with the excitement of getting children to be more hands-on, it is our mission to provide parents and teachers alike with a safe and affordable way to protect their mini Einstein. Made from breathable materials, our lab coats are lightweight, cool, and comfortable for even the most serious of scientists. Each jacket has elastic sleeve cuffs, a pocket, and closes with snaps up the front, making them easy for kids to put on and wear all by themselves. School districts across the country are purchasing packs of disposable lab coats for their science labs, art classes, Makerspaces and Science Fairs. Student feel good wearing professional clothing and they are protected from spills too. There are few things better than children who are curious and looking to have fun. What better way than to encourage them than with hands-on activities that expand their knowledge and satisfy their curiosity. With creativity, come messes. But at Makerspace Lab, we have just what you need for fun time. More and more children are asking for Science Birthday Parties and lab coats are the perfect addition to the science theme. Plus they are so inexpensive they can be given as party favors. Visit our Science Birthday Party Page for more ideas. 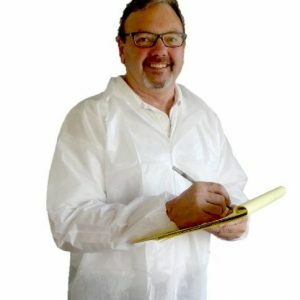 Many companies have found child size disposable lab coats to be the perfect way to add excitement to their Take Your Child to Work Days. Company employee’s children feel like Mom or Dad at work. As an added benefit they are protected from messes and look great. As the number one ranked supplier of children-sized laboratory jackets on Amazon, we make it our goal to provide you with a reliable product you can trust. Makerspace Lab uses Amazon fulfillment and shipping. Your order will be delivered directly to your front door. Just choose standard or expedited delivery at checkout. Call us immediately if you need overnight delivery. 800-368-1106.